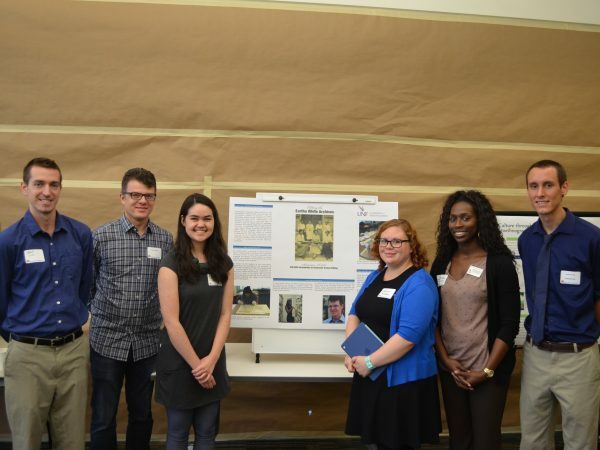 Students and faculty presenting on “Editing the Eartha M.M. White Collection” at the 2016 Digital Projects Showcase. The 2017 Digital Project Showcase will be held on Wednesday, November 8, 10:00 AM-Noon, in the ballrooms on the third floor of the UNF Student Union. For more information on attending, visit the Registration Site. For questions regarding the 2017 DHI Digital Projects Showcase, contact Clayton McCarl (clayton.mccarl@unf.edu), DHI interim chair, and acting co-chair of the DHI Events Committee.